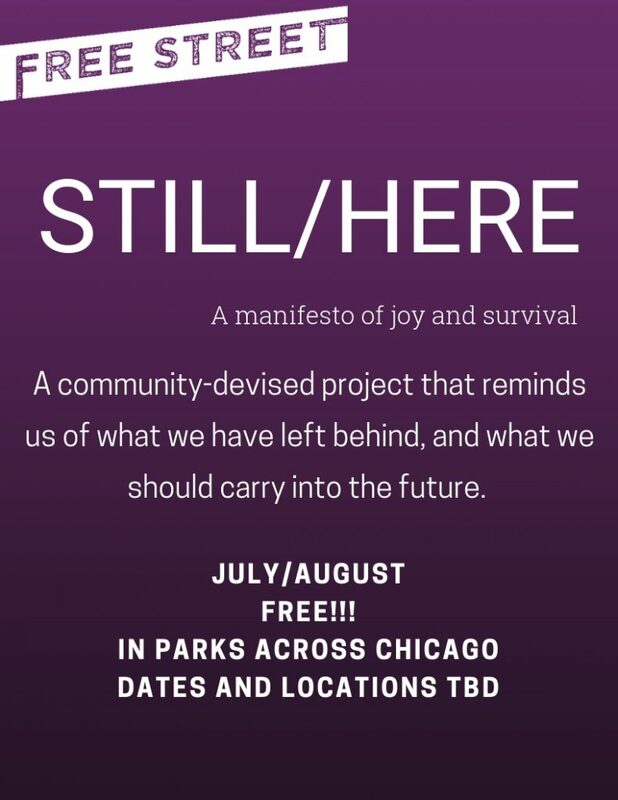 On June 23rd, 2019 Free Street Theater will share their 50th year of radical joy across Chicago with a city-side theatrical pop-up! Wait, WHAT?! YES!!! 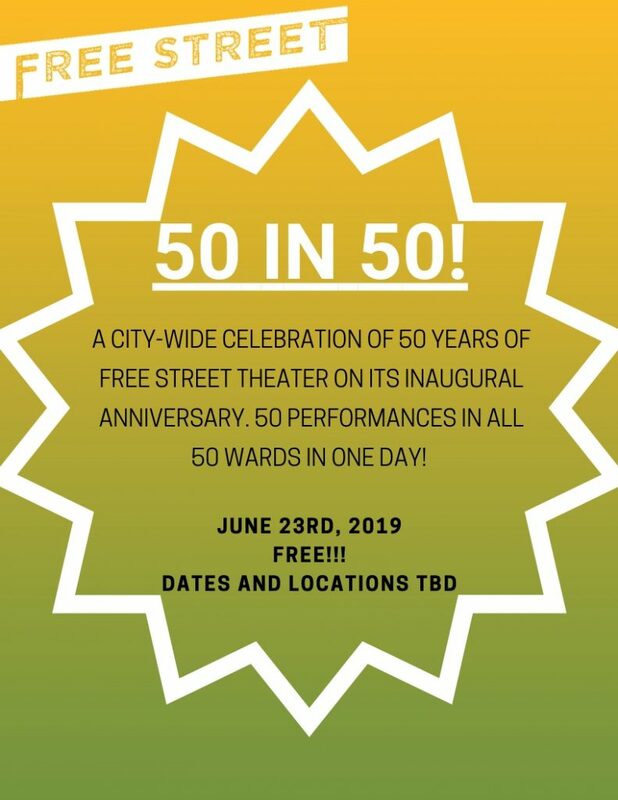 Free Street will perform 50 plays in all 50 wards in ONE-DAY making it the largest live community engagement we have (or dare we say anyone) ever done. We will end the day with cake and a toast to 50 years of joy and justice in the heart of Chicago. Save the date!